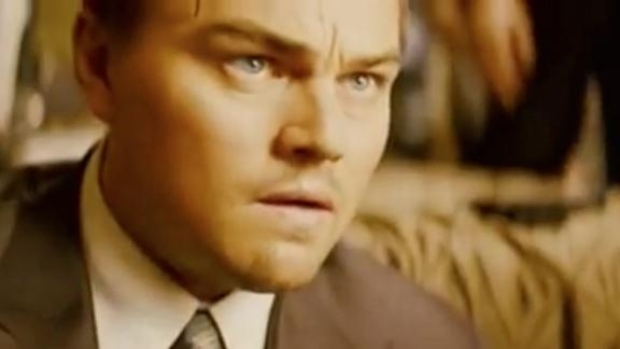 Costume Designer Drops Big Clue to the Ending of "Inception"
As much as we loved "Inception," no one is more surprised than we are that the film held on to lead the box office for a third straight week. But even stranger is the idea that the film's costume designer may have given up the biggest clue to the film's controversial ending. Ed. note: It goes without saying -- but we'll say it anyway -- what's to follow includes some mild spoilers. If you haven't already seen the film and are planning to, we strongly advise you to read no further. COF: How much does costume reflect the inner machinations of the plot, particularly in a film such as 'Inception?' For example, Cobb’s children are wearing the same clothes at the end of the story as they are in his dream ‘memory’ throughout the film. Is there something to be interpreted here? JK: Costume design reflects greatly on the movement of the plot, most significantly through character development. Character development is at the forefront of costume design. The characters move the story along and with the director and the actor the costume designer helps to set the film’s emotional tone in a visual way. In a more physical sense the costumes’ style and color help to keep the story on track, keeping a check on time and place. Giving further credence to the idea that time is moving forward for the kids is that "two different sets of children are listed in the credits (the first pair at ages 3 & 20 months, the second 5 & 3)," as a commenter on Cinematical's piece "Dissecting 'Inception': Six Interpretations and Five Plot Holes" noted. Obviously neither of these revelations will solve the questions surrounding "Inception," but it's certainly interesting grist for the mill.